Ivy (Hedera helix) is a herbal ingredient to fight cellulite and anti-fat in the highly acclaimed Cellumend cream, but is only one of many constituents that make up this complex formula. The ordinary ivy plant is an evergreen climbing plant which grows from 3 to 50 meters and its botanical name is Hedera helix. It has a strong, ligneous stem and sticks to walls and trees by means of its hook roots. This plant has great anti-fungal, anthelmintic, molluscicidal, anti-mutagenic as well as cellulite control properties and is included in our Cellumend cream. 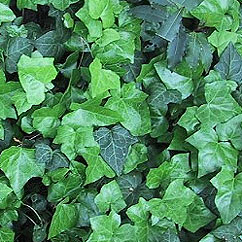 In folk remedies the ivy plant has become known as a herbal ingredient in cellulite and anti-fat remedies and treatments. It has shiny, dark green leaves which are paler on the back and coriaceous, alternate and petiolate. The leaves can be anything from triangular to palmate-lobulate in shape and oval at the flower heads. The yellow-green flowers blossom from September to October in small spherical umbels. The Ivy calyx has five short teeth welded to the ovary and five light yellow-green petals which are lanceolate and reflexed. The globulous fruit is blue-black and has four or five pink seeds. This climbing plant is very common in European forests and the parts which are used are the wood and, more importantly, the leaves. The constituents of ivy are triterpenoid saponins, comprising the hederagenin glycosides, hederacoside C (5%)  and ß-hederin and the oleanolic acid glycosides, hederacoside, phenolic acids, flavonoids, malic acid and fatty acids. It further contains rutin and nicotifloroside in the flavonoids which are part of the phenolic compounds as well as caffeic and chlorogenic acids. The active ingredients are the triterpenic saponins which are to be found in all parts of the plant.  and ß and K hederin have been isolated and later the hederacoside. Hederacoside A is hydrolysable into glucose, arabinose and hederagenine, this lat compound belonging to the group of pentacyclical triterpenes; and B hederacoside can be hydrolyzed into rhamnose, arabinose and oleanic acid. Ivy (Hedera helix) extract contains Hederin (Hederine), an active saponin which is responsible for blood vessel protection and permeability decrease. 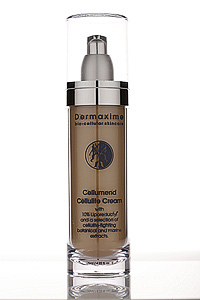 Ivy further helps to reabsorb the edemas present in the initial stages of cellulite. It has a great application in cosmetics as a cellulitic agent due to its properties as an anti-inflammatory and pain killer provided by the saponosides and flavonoids. The flavonoids exercise a protective action over the hair, which is why it is often included in hair care products. A major action of this herb is that of a circulatory compound which assists other components to be absorbed by the skin, whilst also helping to remove waste products and fatty build-ups from the tissue and helps release fatty deposits from the cells. The saponosids in ivy help other components present to be absorbed by the skin and help the lipids (fatty contents) stocked in the adipocytes (fat cells) to go back into the blood stream and to be either used as a source of energy or to be eliminated. Saponosids in ivy are natural surfactants, which relieve congestion in the lymphatic system and make lipids soluble. It will also help to improve the elimination of cell metabolism residues. 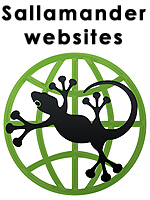 The  and ß hederins have been attributed with an astringent and vasoconstrictor action. Their tensioactive and decongestive properties are also used for facial and makeup products on skins with seborrheic tendencies. Work has recently been carried out to understand the active mechanism of the saponins in ivy and what their role is in cellulitic treatments. It has been found that it is the sapogenines in ivy which have an inhibitory effect over the hyaluronidase enzyme, the enzyme that takes part in the turnover of the components in the vascular area. The ingredient Hedera helix is an extract of the stems and leaves of the ivy, Hedera helix, is used as a skin-conditioning agent - miscellaneous in cosmetic manufacture and chemically classed as a biological product.